A $4 trillion “grand bargain” sounded nice but faced a revolt from both parties. 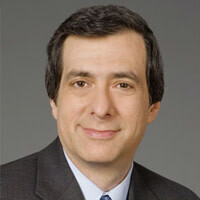 Howard Kurtz on the gap between Washington’s public optimism and backstage knife fight. There was a brief moment of optimism in Washington that after months of partisan sniping the two parties were finally coming together for a grand bargain to avoid a government default. The president of the United States and the speaker of the House may think it’s a grand idea to compromise on a sweeping, $4 trillion plan to slash the deficit and raise the debt ceiling. But anyone who understands the gridlock-driven nature of Beltway maneuvering knew that wouldn’t be enough. Barack Obama and John Boehner may have agreed on Friday to pursue the big-bang solution, but neither had the ability to bring the parties along. Boehner came under such fierce pressure from the right that on Saturday he had to abandon the $4 trillion plan, which would have included significant tax increases, and backpedal toward a $2 trillion fix, which is still going to be difficult to achieve before the Aug. 2 deadline for raising the debt ceiling. The fast-moving events revealed a real split between Boehner and House Majority Leader Eric Cantor, who has taken a harder line against raising revenue and argued that a $2 trillion target was more realistic. But Obama also faced a Democratic revolt led by House Minority Leader Nancy Pelosi, who with other lawmakers openly rebelled against the Medicare cutbacks that the administration put on the table as a kind of tradeoff for the revenue hikes the GOP was being asked to swallow. The Pelosi wing views Medicare as the most effective weapon with which to club the Republicans in next year’s elections, since the GOP has embraced turning it into a voucher program. With the president scheduled to meet congressional leaders Sunday night, some politicians involved in the process say privately they now expect to run out of time and be forced to cobble together a short-term deal that simply kicks the can into 2012—precisely what Obama, Boehner, and other leaders have said they don’t want to do. But the reality is their options are dwindling. It isn’t for lack of trying. While feeding red-meat rhetoric to their ideological bases, Obama and the GOP reluctantly embraced the politics of adulthood behind the scenes, recognizing that they would pay a huge price—and shatter the fragile economic recovery—by failing to boost the debt ceiling before the deadline. No one on the political stage wanted to be seen as going wobbly, but in the end they need a mutual-survival pact. So they’ve carried out a rendition of Kabuki theater, where what one saw on the outside didn’t always reflect what was going on behind closed doors. Take Cantor, who kicked up a classic Beltway fuss in late June by walking out on Joe Biden’s negotiations to move the country back from the brink of default. But Cantor has since quietly held a series of back-channel conversations with the vice president. Republicans have loudly proclaimed they won’t budge on even minor tax increases, citing fears they’d hurt the economic recovery. But some are more worried about being targeted for defeat by anti-tax crusader Grover Norquist and have been searching for semantic detours around his no-new-taxes pledge, which many of them signed. And while Obama’s party has spent months accusing the GOP of trying to gut Medicare, a Democratic congressman offered a plan behind closed doors to slice $480 billion from federal health programs—if Republicans would swallow some tax hikes in the process. This time may be different as Americans, beaten down by a painful recession, are hungering for leaders who can rise above the media frenzies about financial Armageddon and get them on a common-sense road to recovery. Even as each party stubbornly stuck to its talking points, strong signs of compromise emerged this week—raising hopes for a $2 trillion–to–$4 trillion deficit-cutting package that would spread the pain around. Much work still needs to be done, and the cautiously good feelings that emerged from a bargaining session Thursday at the White House could dissipate anew into partisan bickering. The next big moment comes Sunday when the two sides return to the bargaining table, hoping to settle on the exact size of spending cuts. Bill Clinton and Newt Gingrich once managed to close down the government back in the mid 1990s, but they eventually suspended their sniping and passed a balanced budget. But that was in an era before Web warfare. It is a measure of how far the debate has shifted—and of America’s $14 trillion debt—that lawmakers are at last talking about killing such once-sacred cows as agriculture payments and oil-industry tax breaks. Coburn tried early on to abolish the ethanol subsidies treasured by corn farmers, prompting a heated debate among Republicans about what constitutes a tax. Norquist, who heads Americans for Tax Reform, accused Coburn of wanting to “trick Republicans into voting for a teeny tax increase” that would shatter the sacred pledge. Coburn says the activist is playing “the typical Washington game of gotcha.” But on Thursday week a bipartisan group of senators struck a symbolic compromise to slash the ethanol payments. While talking tough in public, Cantor has embraced the narrow escape hatch in Norquist’s pledge, that tax loopholes can be closed if they are offset by tax reductions elsewhere. The exchange is classic Kabuki theater—it doesn’t reduce the deficit by a dime, but it could give Obama political cover for the Medicare cuts that his liberal allies, led by Pelosi, are already denouncing. An earlier façade of Democratic unity masks the degree to which lawmakers have been chafing at the president’s perceived passivity. Pelosi and Senate Majority Leader Harry Reid have privately urged Obama to be more confrontational. “I’d pick a lot more fights than he has,” Reid tells Newsweek. Obama was “chomping at the bit” to punch back, a top White House official insists, but didn’t want to “blow up” the Biden talks. After they collapsed, senior aides David Plouffe and Dan Pfeiffer offered a blueprint for Obama to accuse the Republicans of protecting tax breaks for millionaires, corporate-jet owners and hedge-fund managers — all time-honored populist targets. But soon after Obama delivered the indictment, he was floating new spending concessions in a secret meeting with Boehner—two grown-ups quietly seeking common ground. Cantor was furious when Obama targeted such tax breaks as the one for corporate-jet owners, which costs $3 billion over 10 years. “That’s not leadership,” Cantor says. “To insinuate that $3 billion in corporate loopholes is causing the impasse when it’s trillions of dollars, I think that’s disingenuous at best.” Pfeiffer sees an “element of absurdity” to the GOP’s carping about class warfare. The talks imploded last month when Chris Van Hollen, a top Pelosi lieutenant, produced a one-page “menu” that amped up the Democrats’ tax demands in ways that even some on his side felt were unrealistic. What’s more, Van Hollen said, if the Republicans wouldn’t give ground on taxes, the Medicare and Medicaid cutbacks were off the table, too. For good measure, he proposed cutting the value of income-tax deductions for individuals earning more than $500,000. At 9:40 the next morning, while Biden was meeting on Afghanistan, Cantor called to say he was pulling out. Cantor had only informed Boehner just 40 minutes earlier—this after the speaker had privately met with Obama the night before. Cantor, who aspires to be the first Jewish speaker, appeared to be distancing himself from his leader. The Virginian’s bold, on-message approach contrasts sharply with Boehner’s diffident style —mirroring a split between the GOP’s Tea Party wing and its more establishment leadership and stirring talk of a possible coup. But away from the cameras, even sharp-tongued politicians recognize the imperative of avoiding the fate of Greece. It is a sign of the times that the Kabuki players of Washington may take a bow simply for averting catastrophe.